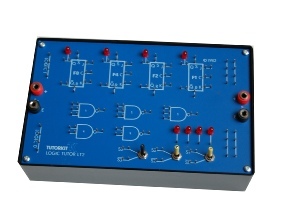 NOR, Ex-OR and AND–OR-INVERT logic gates. to drive Sequential circuits and counters. 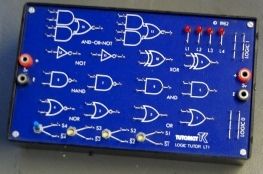 5 Nand gates and 3-Logic Input Switches. sea-saw waveform and study active filters..
indicators and 3-Logic Input Switches. 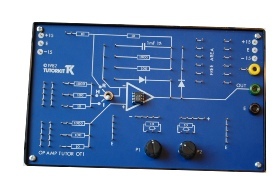 suitable for use with TLL and linear ics.